KPM have now released our new Streetfighter Supercharger Front Cover, snout and pulley package as a direct replacement for the standard FG Supercharger front cover and pulley. The new Streetfighter snout and pulley package is the next step beyond our popular quick release front pulley only replacement. 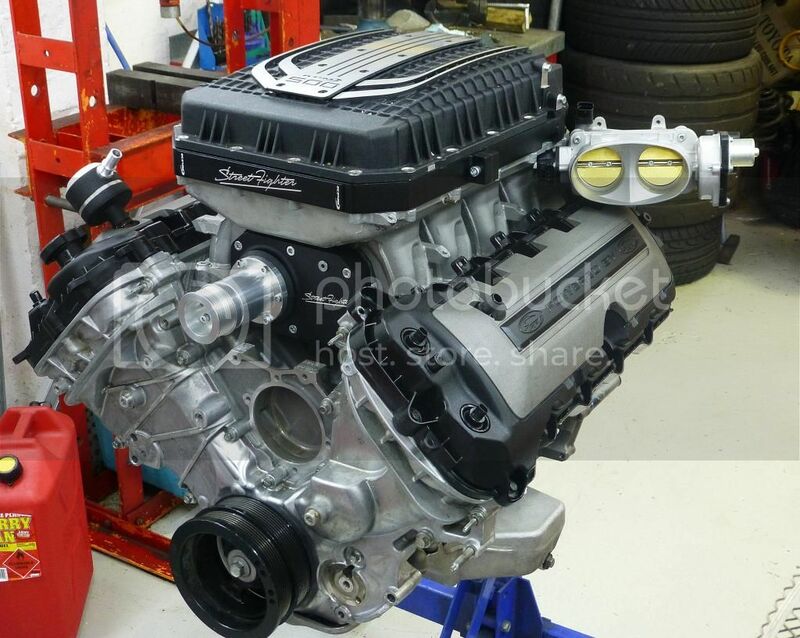 The standard FG supercharger runs a pulley size of 75mm giving a maximum of approx 8psi boost. Most after market pulleys offer a replacement size of 70mm giving a maximum of approx 10 psi boost. Due to the standard snout not allowing any smaller than a 70mm pulley we have decided to engineer a new billet cover and snout that will accommodate pulleys down to 58mm. Our new snout and cover is an easy and direct replacement package that will provide a hassle free maximum boost of approx 13-14 psi from your standard FG 1900 supercharger. Should you purchase and fit this new cover and snout for your standard FG 1900 supercharger and in future decide to upgrade to our new Streetfighter 2300 Supercharger package, we have engineered the Streetfighter supercharger cover to be re-used perfectly on the larger supercharger package. Simply replace the 1900 snout with our 2300 snout . Done! As per many Streetfighter products we developed the cover to be modular saving you money on further upgrades later. In fact the Streetfighter Cover, snout and pulley package was originally engineered and fabricated to suit the higher level of performance and load of the larger 2300 supercharger. In doing so, Streetfighter have designed our cover, snout and pulleys out of billet Aircraft grade 6061-T6 aluminium. Our internal shafts and bearings are also of extra strength and material grade to suit the higher loads. We have also used an internal snout mounted system to give the complete package a and inherent strength unmatched by any other package availabe. 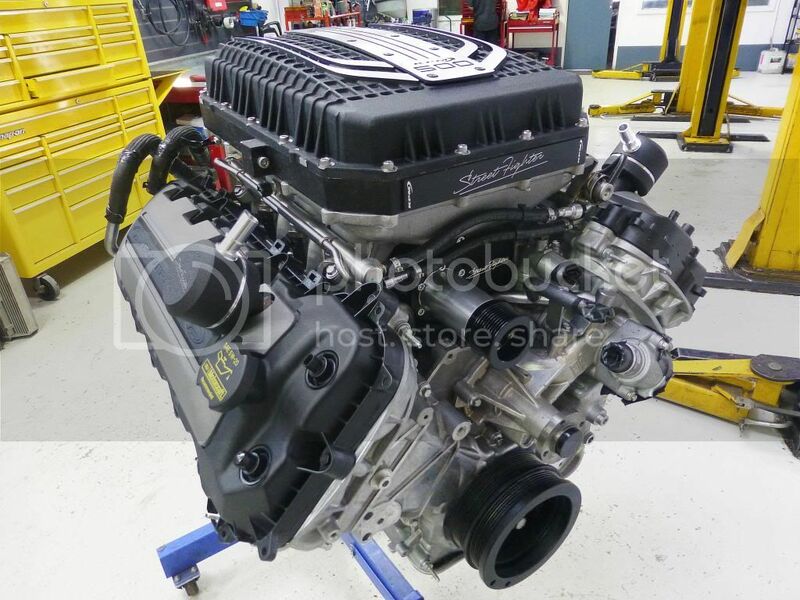 This means that your Streetfighter supercharger cover ,snout and pully upgrade is of the highest performing, quality, strength, adaptability and design available on the market for both your standard FG 1900 and larger 2300 superchargers. Last edited by KPM Motorsport; 18-07-2013 at 08:58 PM. Replacemant correct sizing drive belt. The Streetfighter Snout and pulley fits both the standard 1900 Supercharger and and our Streetfighter 2300 Supercharger package should you decide to upgrade at a later time. New 58mm Pulley now available. 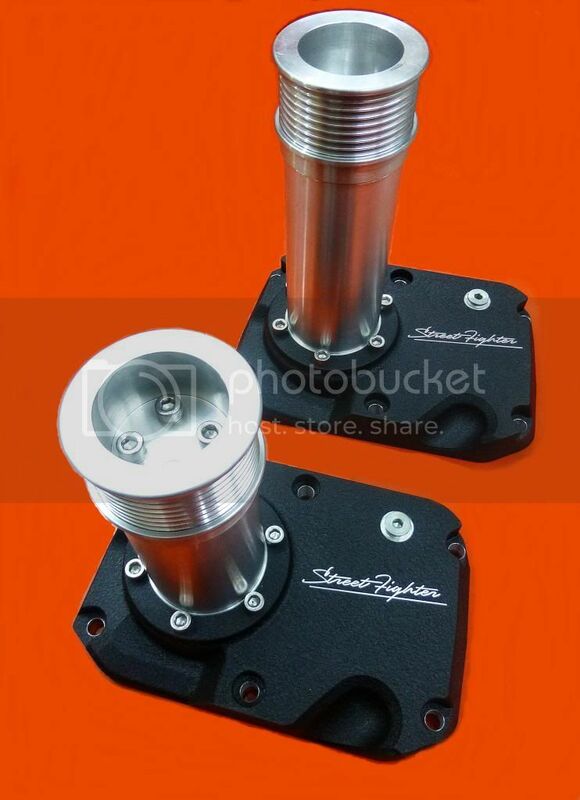 Our new 58mm pulley runs the supercharger at approx 18-19000 RPM. 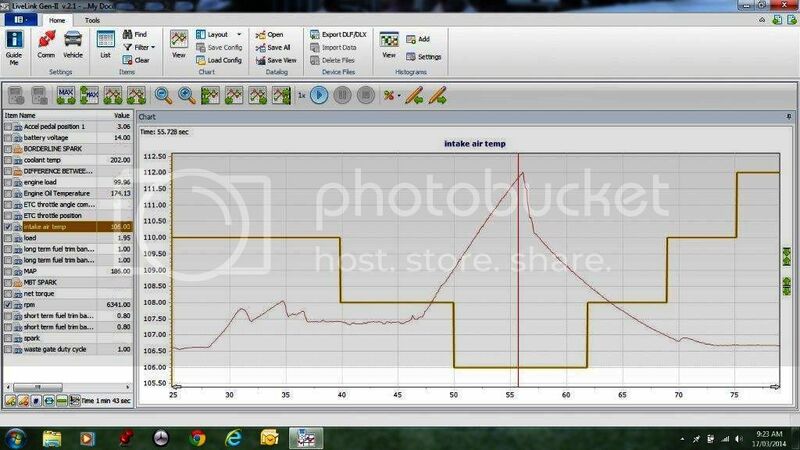 This is on the maximum achievable level of efficiency for the 1900 Standard supercharger, while giving perfect results. The bearings are rated well over 20000 rpm and as you will see by our logging intake temperature efficiency utilisng our Streetfighter intercooler is maintained perfectly. This customer gained approx 20kw with the pulley upgrade only. The 58 mm pulley also fits our Streetfighter 2300 supercharger package offering 17-18 psi boost with ability to produce well over 530 rwkw without fuss. -Both the 1900 and 2300 Eaton superchargers utilised are able to rotate to an absolute maximum of 22,000 rpm with 18,000 rpm being the suggested usable limit . Last edited by KPM Motorsport; 22-04-2014 at 02:32 PM. Would you recommend any other upgrades at the same time as doing this? I have a stock 2012 335. I have changed air filter to bmc twin and now wondering what my next move is before I get a tune. I would love some more supercharger whine with that little extra power but unsure if I'm just wasting my time with only doing this upgrade for now or not? You can easily make extra power with tuning or tuning/injectors only. Beyond this level , I would definitely suggest that you fit an Intercooler Kit before any pulley replacement. Intercooling is central to ensuring your supercharger delivers as cool dense air possible at all times. 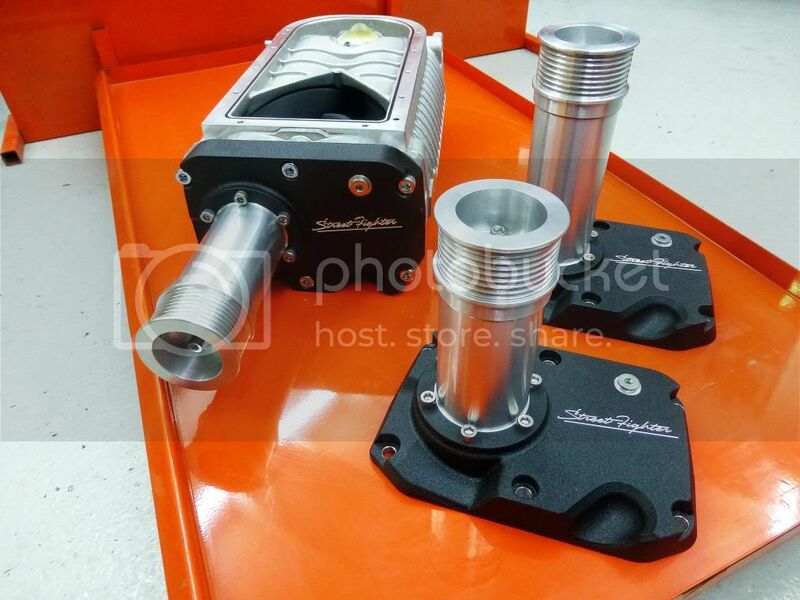 By spinning the supercharger faster with a smaller pulley will increase the intake air temperature, which without intercooling , is detrimental to making extra power efficiently. Once intercooled, you will then need to to ensure your fuel system is able to deliver the fuel required with upgrades injectors and an intank fuel pump upgrade. You are then ready to start adding the components that will make extra power such as you smaller pulleies etc etc. Last edited by KPM Motorsport; 12-06-2018 at 01:13 PM. Awesome mate. Thanks for that cleared it up nicely. I will start with pump and injectors, air filter and tune. Would I need to get intercooler with going to a 70mm pulley compared to the even smaller pulleys. With it only being a slight drop will factory cooler handle it?? No, not worth going smaller at all until intercooled. You will gain 1 glory run on the dyno and thereafter the ECU will protect the engine by de-tuning with every consecutive power run. I see the twin throttle body for an Ford Falcon FGX XR8 Sprint I seen them on your website but can’t work out the differences apart for the size 60-65mm. Could you please explain the differences in why the prices vary so much. PS I’m coming in on this Thursday for an intercooler and pulley to be installed.